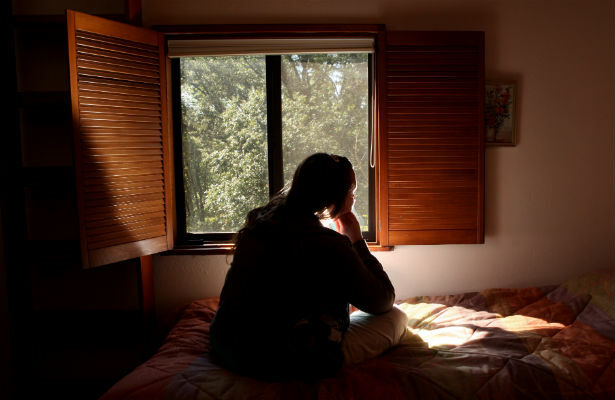 Cut off from federal funding, programs serving abused women may be forced to close. Consider the government shutdown an extension of the GOP’s efforts to cut essential services to American women and their families. Now in its eighth day, the government shutdown has already kicked 7,000 children out of Head Start, and endangered 9 million women and children on WIC, including 2,000 newborns in Arkansas that may not receive nutritional formula if the shutdown persists. Add women fleeing domestic violence and sexual assault to the list of vulnerable populations that the shutdown puts at greater risk. On Friday, a domestic violence program in DC called Survivors and Advocates For Empowerment with an intake center just blocks from the Capitol announced that it needed to raise $19,000 in a week in order to provide shelter, emergency lock changes at victims’ homes, staff for the hotline and court advocates during the shutdown. That’s because the federal agencies that administer funding for domestic violence programs have ceased operations, cutting shelters’ access to cash and to the Grants Management System that they use to allocate resources and communicate with grant managers. Typically, shelters are reimbursed at the end of the month for the services they provided; any of September’s expenses not paid out last week will remain on the books until Congress passes a budget resolution. Without federal funds, shelters are dependent on state governments and private donors, and many won’t be able to stretch this money past the next payroll. “We’re two weeks from programs closing their doors,” said Cindy Southworth, vice president of the National Network to End Domestic Violence. At least 2,000 shelters nationwide rely on funds from the Family Violence Prevention Services Act, as well as the Violence Against Women Act and the Victims of Crime Act. As Bryce Covert reported at ThinkProgress, shelters in rural areas and small programs without a strong donor base will be the first forced to cut services. The shutdown squeezes shelters on Indian reservations particularly tightly, since federal funds often account for a greater portion of their operating budgets. These are vital programs: about 40 percent of Native American women face domestic violence, a higher rate than any other group. This isn’t the first time Republican obstructionism has hurt Native American women, either. For a year and a half, Republicans in Congress refused to reauthorize VAWA, in part because it expanded the power of tribal authorities to prosecute non-Native abusers. The White Buffalo Calf Woman Society, which serves the Rosebud Reservation and surrounding communities in South Dakota, has lost 90 percent of its funding because of the shutdown, according to executive director Janet Routzen. “We don’t have any reserve funding. [The shutdown] affects everything that we do,” Routzen said. The Society’s donor base dried up during the recession, and with unemployment on the reservation at 85 percent, according to Routzen, it can’t rely on community support. Routzen’s employees, who make little more than minimum wage under normal circumstances, told her they plan to work without pay if the funding has not been restored by the next pay cycle. The shelter is at capacity with eleven women and twenty children; she turned away at least four victims in the past week. Even before the shutdown, domestic violence programs across the country were both overfull and barely getting by financially. State and city governments cut funding for programs in almost 80 percent of states from 2011 to 2012, and nearly all states reported decreases in private donations. Meanwhile, more than half of shelters reported that abuse grew more violent during the economic downturn, and 45 percent of women said they stayed with their abuser longer for economic reasons. Sequestration ratcheted budgets still tighter, forcing programs to cut services to more than 400,000 women. “There’s a domino effect,” Southworth said. “Victims running for their lives do not have a lot of money at their disposal anyway, and may also be impacted by [cuts to] WIC and food stamps.” While domestic abuse crosses all income levels, women with fewer financial resources to begin with are particularly in need of shelter, because they cannot afford other accommodations. As the shutdown drags on, and with little chance that a budget deal will lift the sequester cuts, things may only get worse for victims. “They’re going to go from endangered, to endangered and in poverty,” said Southworth. Read Patricia Williams’s latest column on women and self-exploitation.